Your stress level. Your tight muscles. Your emotional well-being. Your mood. The laundry list of reasons why you keep your regular appointments with your massage therapist is plenty long. This is for good reason - it seems like every time you turn around, there’s another article about why massage is great for you. All you know is that after you’ve had an appointment with your massage therapist, you feel better. But have you ever considered the “hidden” benefits of massage? The ones you can’t necessarily feel or see? This February, during American Heart Month, let’s take into consideration the positive benefits that massage might hold for your heart – after all, the hardest-working muscle in your body should feel some love too, right? It’s no surprise, then, that as a country we’re generally well-versed on a few things that make for a healthier ticker. By now you know that fried foods, high-fat animal products and partially hydrogenated oils are heart health no-no’s; and that antioxidant-rich produce, whole grains and healthy fats are heart heroes. 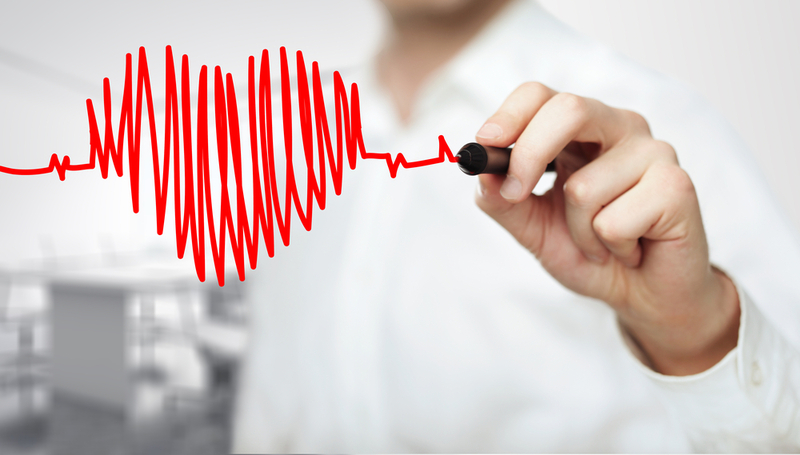 Well, heart-smarty pants, let us school you on one more effective way to care for your heart. It just so happens that your heart can greatly benefit from massage, just like so many other parts of your body. For one, receiving regular massages can lower blood pressure, which decreases your chance of having a heart attack. In fact, one 2008 study found that participants in a study who received one massage experienced a drop in blood pressure by 10 mg Hg, and a drop in heart rate by 10 beats per minute. This is the same effect as taking blood pressure medication long-term, after just one session – not too shabby! Massage also improves circulation, which can strengthen your heart, and also makes your heart’s job a little easier. One more impressive thing about massage? It lowers the stress hormones in your body. Specifically, massage can attack the stress hormone cortisol, which, if left unchecked and elevated, can dramatically raise the likelihood of death due to a stroke or heart attack. Keep in mind that in situations where blood pressure, or other aspects of heart health, is critically off balance, massage may very well not be a suitable substitute for medication. If you have high blood pressure or heart disease, always consult your physician about the best course of action for your treatment. In many cases, however, massage can complement the effects of medication, or even lessen the need for it. It can be hard to keep track of all the dos and don’ts of taking care of yourself. It’s nice to know that simply by keeping a regular massage schedule, you can accomplish so much of what it means to have proper self-care. This month, as you contemplate the different ways to treat yourself right, put your heart into it. And your heart, with its tireless pumping and working, will treat you well right back.